I am pleased to announce that my book has now published and is available on Amazon and Createspace. You now have the opportunity to hold it in you hands. My very dear friend and artist, Susan Coulis, created the artwork for the cover and I couldn't be more pleased. 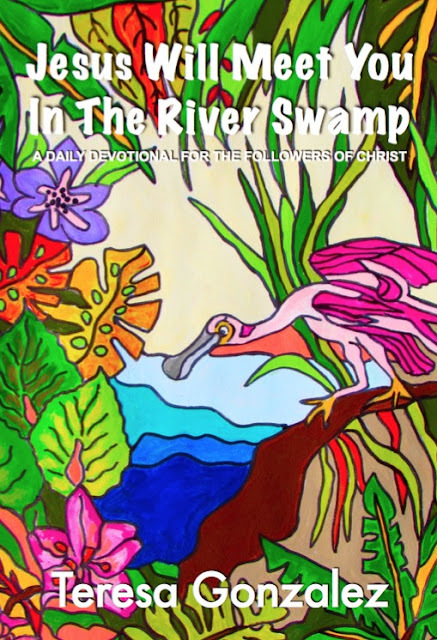 Not only will you get a daily devotional, but you will get this beautiful cover that will cheer you up and brighten your day every time you open it. Love it! Whimsical and intriguing at the same time.I would find it hard not to pick it up and check it out. Great job, Teresa!